Do you desire stunning mountain views combined with an exclusive neighborhood? Do you need 3 levels of entertaining areas for large gatherings, plus outdoor space for everyone? Would you like to own the home where everyone wants to get together and relax? 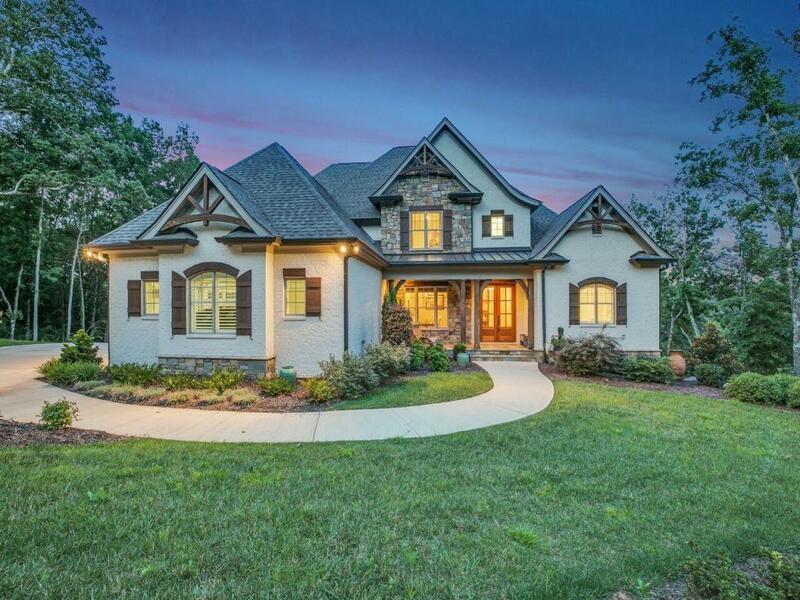 Come see this gorgeous custom home, built by one of Chattanooga's premier builders and professionally decorated. Generous sized rooms throughout, family rooms on all 3 levels, convenient central location, multiple garages, abundance of storage and it still offers expansion room! All the comforts you deserve are here; nothing but the best was chosen for this home. Tour it today and see why it's a perfect home for your needs. Featuring a master suite and additional bedroom on the main level, 3 bedrooms upstairs and an unfinished suiteon the lower level (perfect for teens, aging parents, or guests), this is a great home for extended families. Privacy abounds both inside the home and outside as well. Surrounded by a large lot and woods, the highlight is the undisturbed view of the mountains. Top quality was the key in both materials and design. 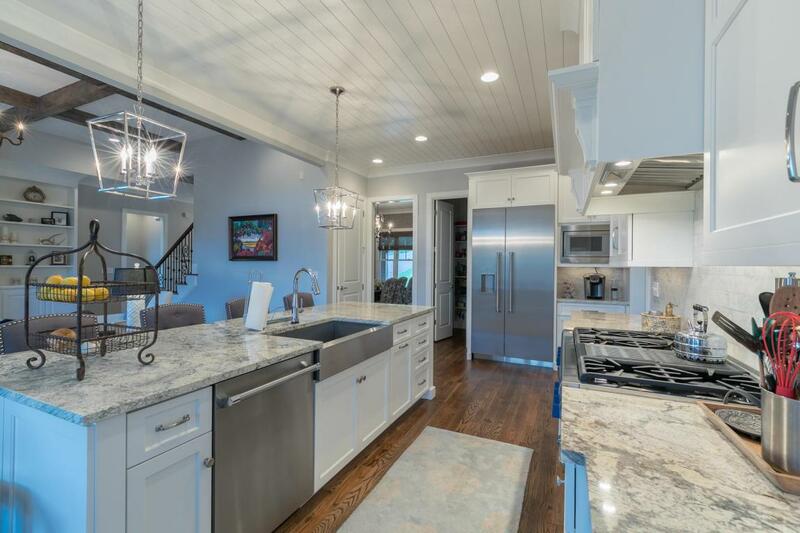 Tour it now and see the difference that a true custom home has to offer you. Would you like to see what a no-compromise home looks like? Why bother with the headache and delays of construction, when you can have it all right now? 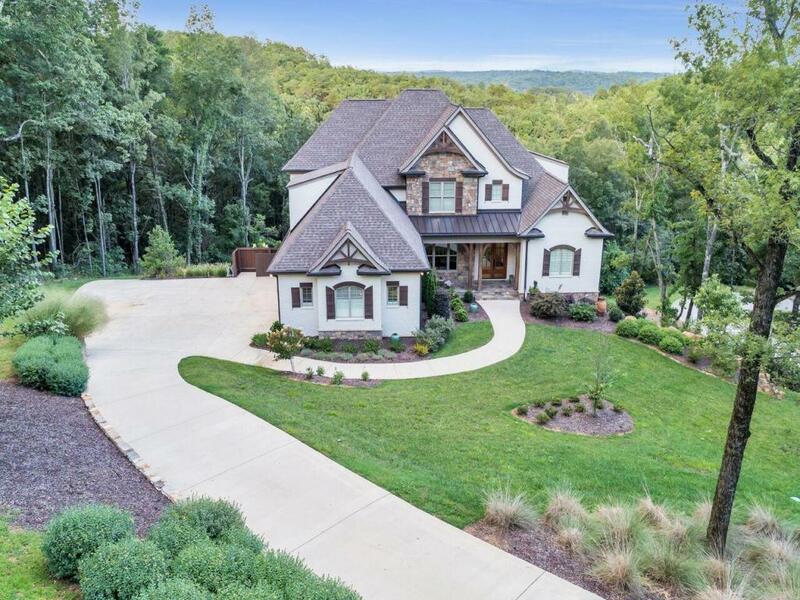 Only two years old, with all the high-end touches you would expect from this true custom home. Call today to set up your tour of a perfect home. The full-brick exterior of this home offers tasteful stone and wood accents highlighting the French Country styling. Extremely quiet, with woods and mountain views setting the tone of peace and tranquility. Take in the bounty of nature, from the wide covered front porch to the deck and luxurious screened porch across the back, which has a remotely controlled gas fireplace making it a 4-season retreat. Views of the mountains abound at several points, including many rooms. Dreaming of a true open-floor plan? 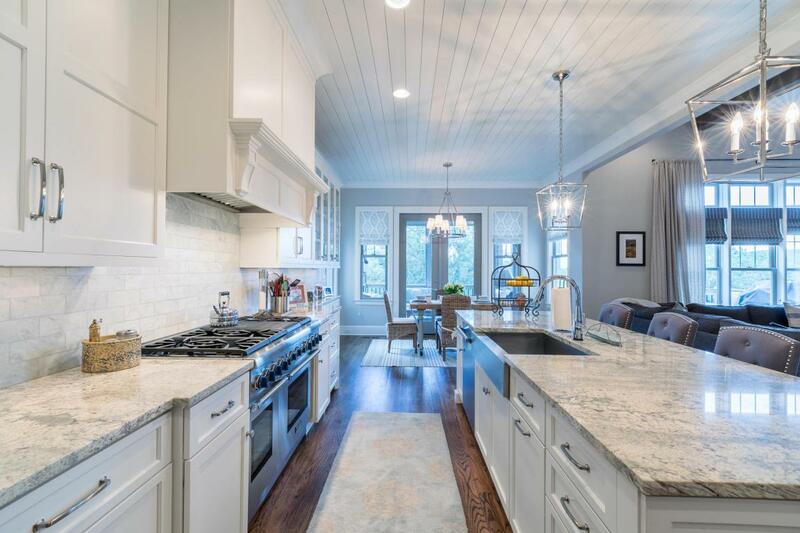 It's all here, from the massive family room (14' coffer ceilings) to the spacious well-appointed chef's kitchen, with full-custom cabinets and granite galore. An over-sized farm sink, massive work station, 60" gas range with grill top, and other top-end Thermador appliances make cooking a treat. Cozy island seating, a dining nook near the double French doors, or dining on the rear deck makes meal times a favorite! You must see the wood beams, ship-lap ceilings and soaring white brick fireplace in the attached family room. This floor includes the well-appointed master (hardwoods, his and hers custom closets, separate shower and free-standing soaker tub, his and hers marble-topped vanities with hers featuring a make-up table and lighted mirror) and a guest bedroom on the opposite end of the home. (Another potential master suite is available on the bottom floor if desired. All the framing, rough plumbing and electrical are already done for you). From the main floor, head up the oak staircase to an additional 3 bedrooms, including another master bedroom with dressing area. The adjoining bedrooms share a Jack-n-Jill bath, and have tons of walk-in closets. An additional bonus room gives this floor extra quiet space for family or a kids to hangout. The bottom floor has separate walk-out entrances, and its own garage and workshop. The wet-bar and pool table are perfect book-ends to the theater/game room. Too many extra touches throughout to mention them all! This is the home your family deserves. Call TODAY and schedule your showing!